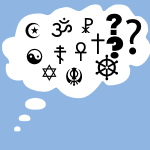 If one religion is the one true religion, all others are false. If none are true, all are false. If each has some truth, the many differences between religions still imply a good deal of error in religion. Since faith produces varying results, critical thinking is what we need to discern truth in religion. 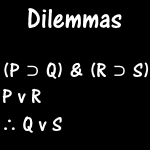 Here is text and video introducing two rules of inference involving dilemmas: contructive dilemma and destructive dilemma. 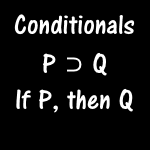 Here is a video I made explaining material conditionals in symbolic logic, including three rules of inference that use them: modus ponens, modus tollens, and hypothetical syllogism. There is also a short written synopsis. 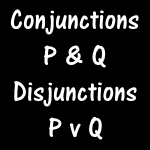 This post, and the video inside, introduce conjunctions (and-statements) and disjunctions (or-statements) in symbolic logic, along with rules of inference that use them, namely the rules of conjunction, simplification, disjunctive syllogism, and addition. 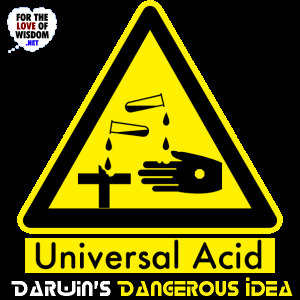 Darwin’s Dangerous Idea echoes my own understanding of evolution and elaborates on it further. Prior to reading this book, I was already thinking about how natural selection is an ordering principle that can account for order at all levels of reality, even accounting for how order can arise from chaos.